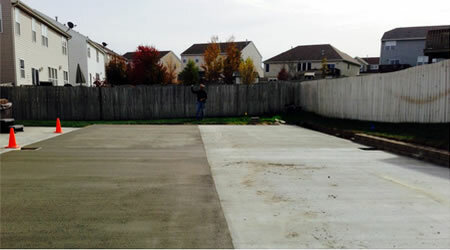 Custom Court Construction and Installation in Nebraska and Iowa - Play, Inc. 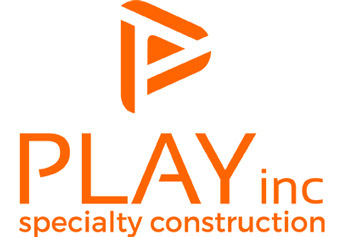 Play, Inc. offers complete sports athletic multi use court design and construction services. 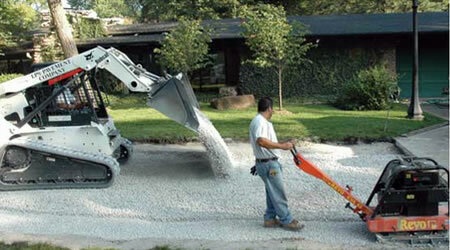 We are a single-stop for the entire process, from the initial design consultation, to the final equipment installation. Don't deal with individual companies for every individual aspect of your court construction. From design to execution, your athletic court construction begins and ends with PLAY inc.
With over 20 years of experience working with concrete and 15 years installing sports equipment, PLAY inc is your single point of contact for your multi-game court. From ground leveling, to retaining wall installation, to the final pour we handle the entire process to ensure quality concrete installation. Crushed-rock bases create a viable and more cost effective sub-surface than concrete; offering true ball bounce and an overall softer playing surface. When built properly (as we do), crushed rock bases will remain in place just as well as concrete - and repair work is much easier. Modular tiles create an awesome sports playing surface for basketball, tennis, volleyball and more. 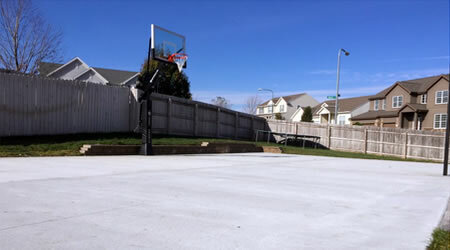 Court tiles will literally transform your backyard or existing concrete pad into a beautiful playing court, that drains quickly and makes practice and play more accessible throughout the year, even during cold and rainy months. When court tiles aren't in the budget, a colorful acrylic surface coating is an excellent alternative. SportMaster products include an acrylic / sand coating to create better surface grip and much improved durability over standard paint. All SportMaster systems can be applied on properly constructed asphalt, concrete, or existing acrylic surfaces. 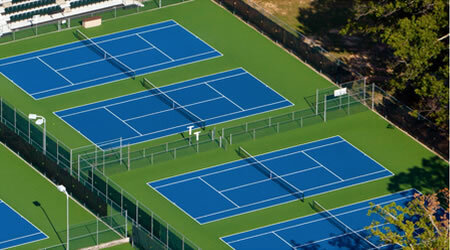 SportMaster has many surfacing options from professional facilities to a backyard court. 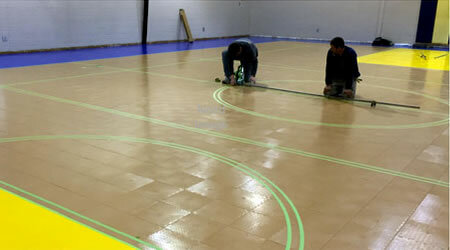 We offer painting services for every sport, including basketball, futsal, volleyball, pickelball, and tennis. Multiple colors are used to highlight the various sports. We can install any equipment or accessory you might need to complement your game court. 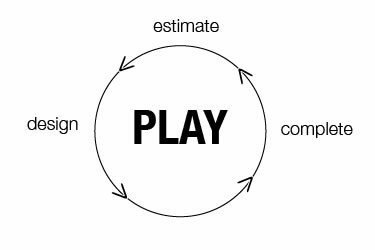 Such as basketball hoops from Goalrilla, Goalsetter, or Porter. Volleyball & multi-sport netting systems, and even lighting and containment netting or batting cages. We have 15+ years of experience installing high-end sports equipment nationwide.